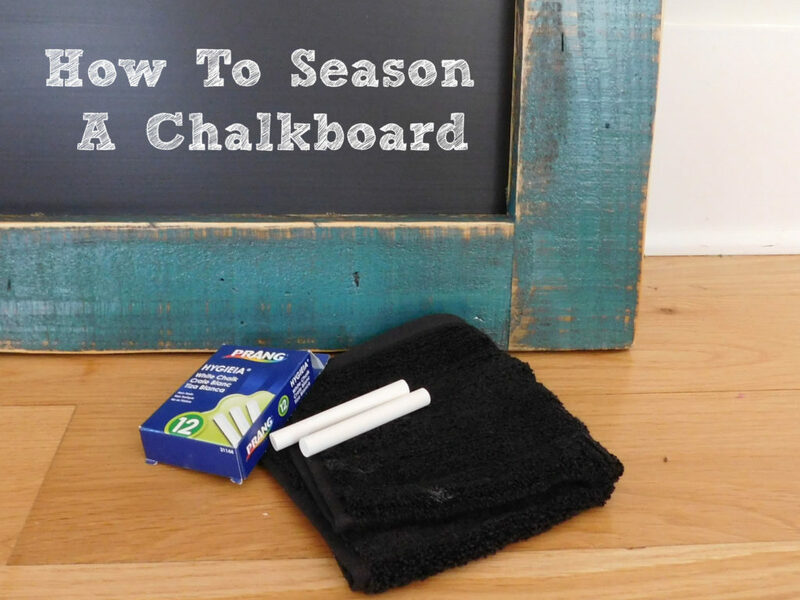 Today I’m going to teach a super easy, yet SUPER important trick for increasing the durability and longevity of your chalkboard. 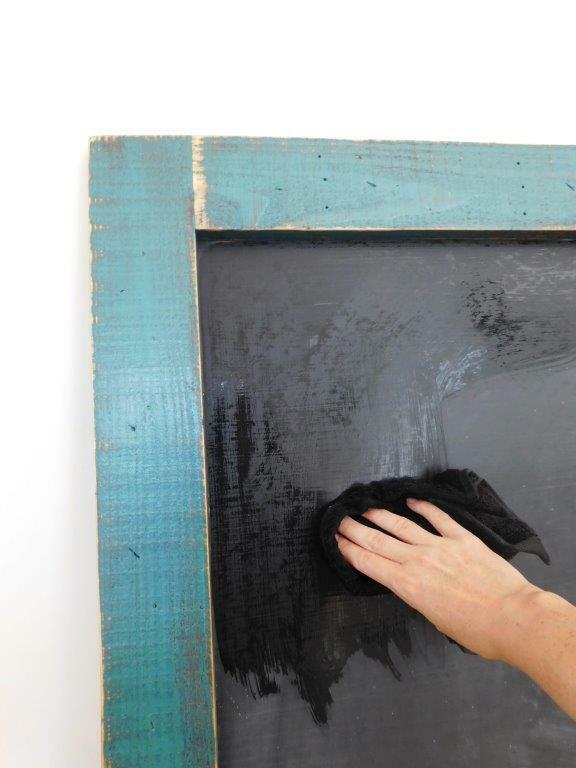 This tiny little step is often forgotten and can permanently damage your chalkboard if not done PRIOR to the first use of your board. 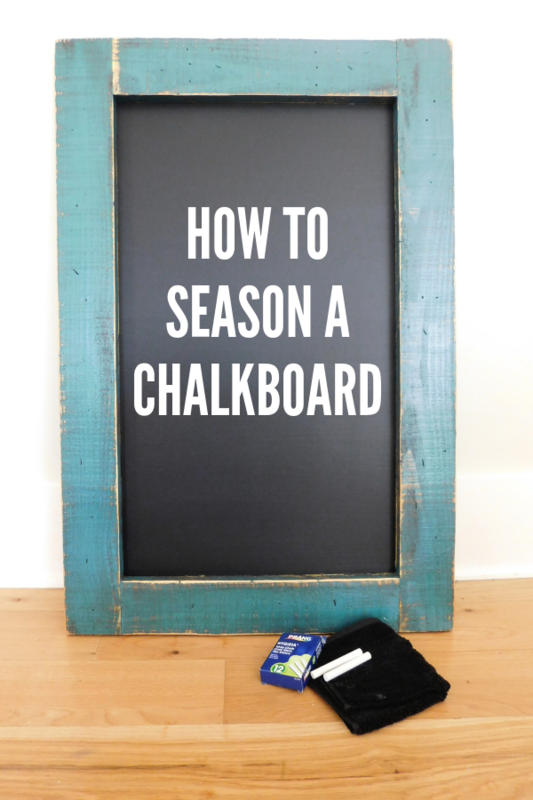 Today, we’re going to learn how to season a chalkboard. It’s not hard. And trust me, you’ll be glad you listened. First, gather a few basic supplies. GOOD chalk ***This chalk is soft and may break, but it does not contain the waxy additives that many do that MAY scratch your chalk surface. 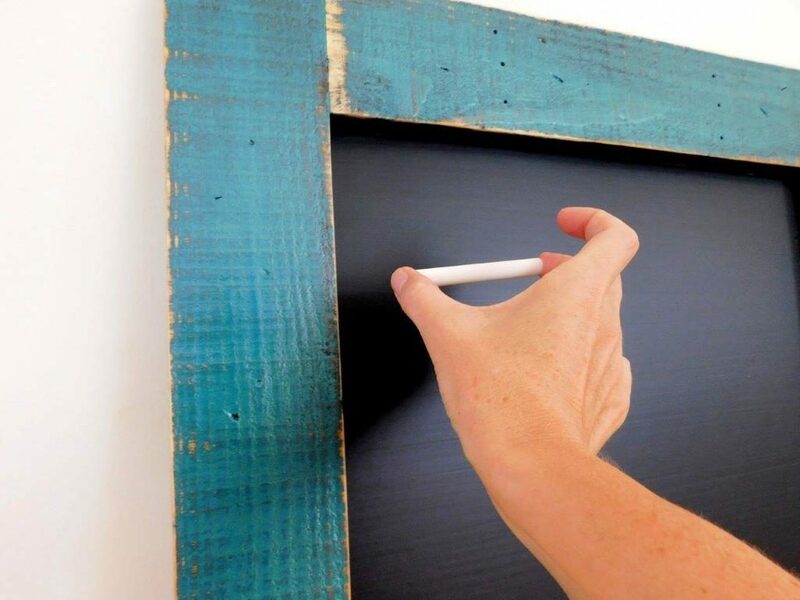 Lightly rub vertically over the entire chalk surface with a lengthwise piece of chalk. Repeat the exact same thing going horizontally. The goal here is to fill in each of the tiny little microscopic pores in your chalk surface with chalk dust. 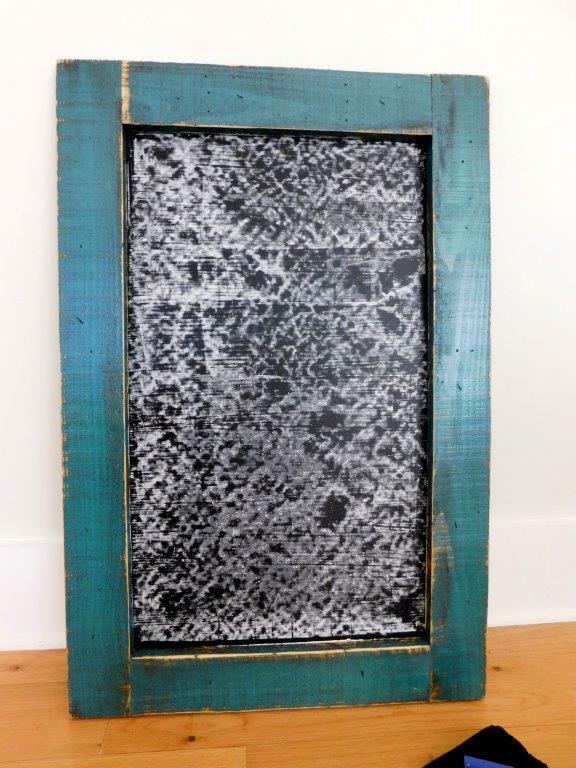 This prevents permanent scratches in your board. You’re welcome. 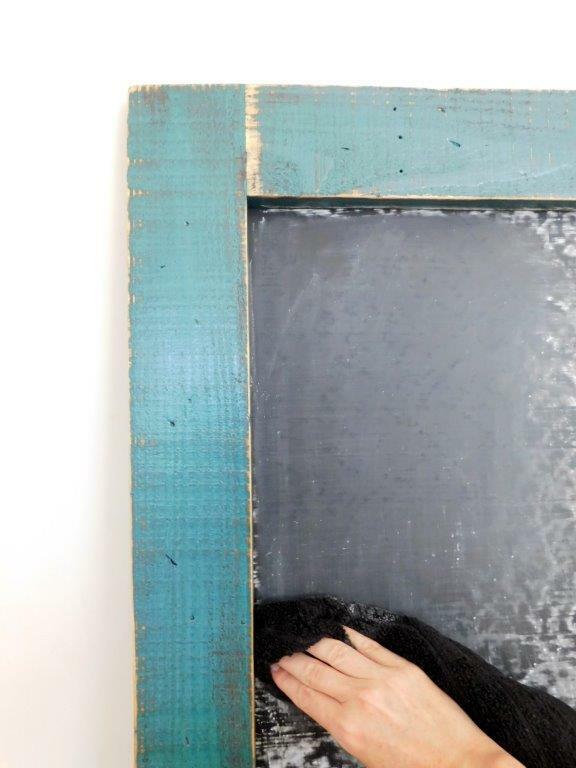 Erase your board with a felt eraser or soft, dark cloth. 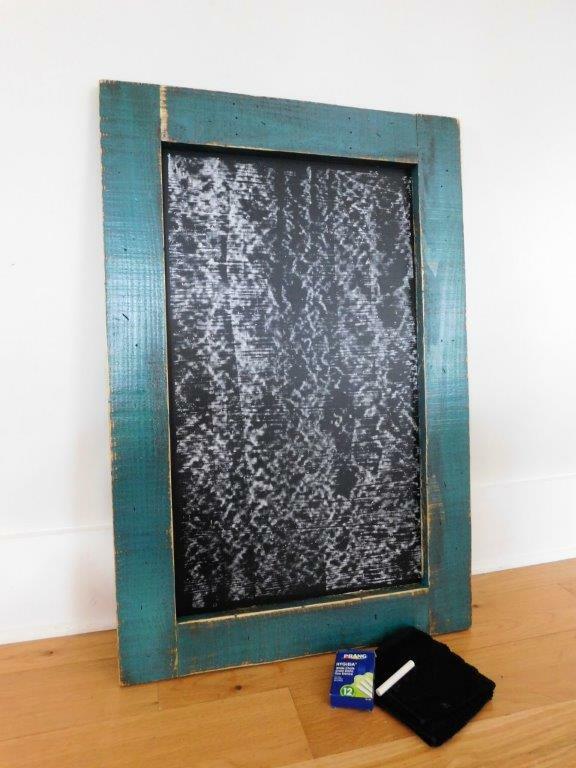 Your chalk surface is now prepared for writing. 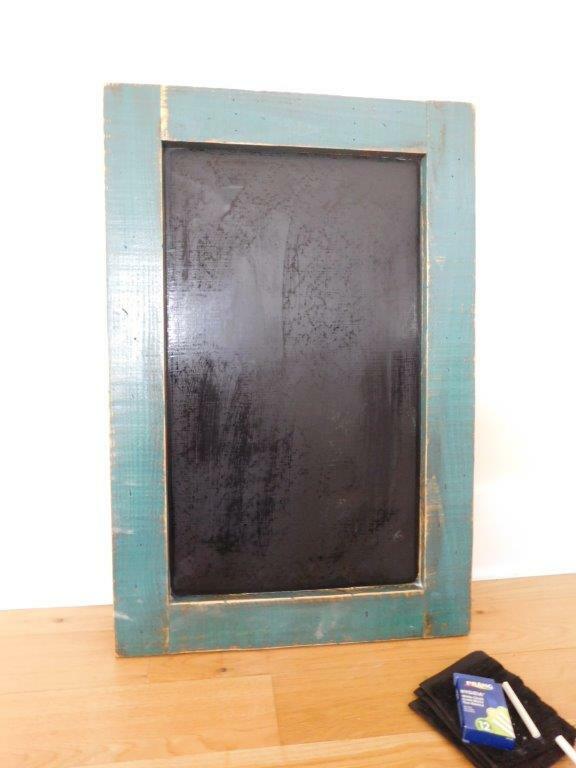 ***If you prefer a “new” look to your board, use a slightly damp, dark cloth and repeat the erasing process. 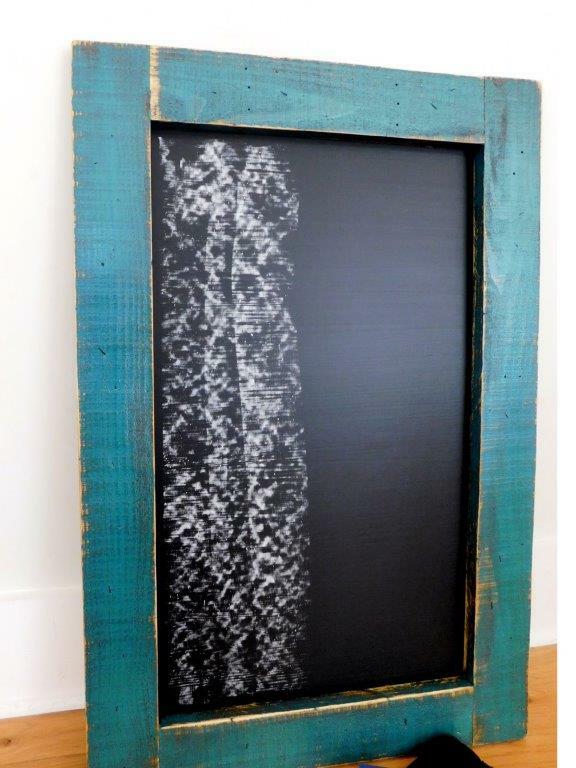 More on erasing here. Now your board is ready for years and years of use and abuse, just kidding. But really, the durability is great! And you’ve just made it even better! YAY! 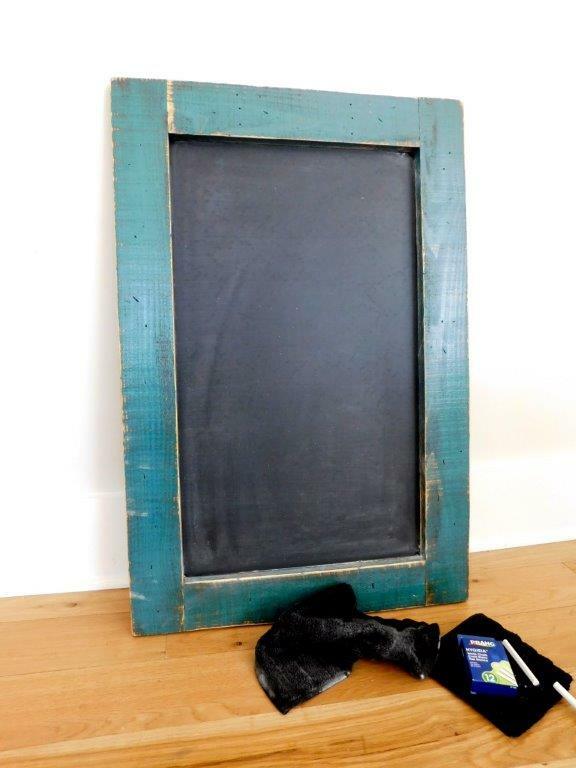 If you are in need of some organization and order but love a pretty space, let us help you choose a chalkboard that’s just right. 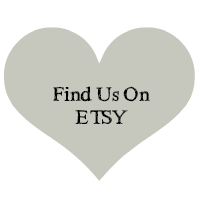 Take a look at what we keep in stock, or contact us here or here to create the perfect custom sized board for your needs.